BOG Products believes that gadgets such as bike accessories are a necessity, for safety and for every day use. Their products are simple, reliable and look great. Therefore, it was important for that to be reflected in their design. Their WordPress website with a responsive design makes great use of big, bold imagery. A full e-commerce solution powered by WooCommerce allows a user-friendly shopping experience that is equally easy to manage. 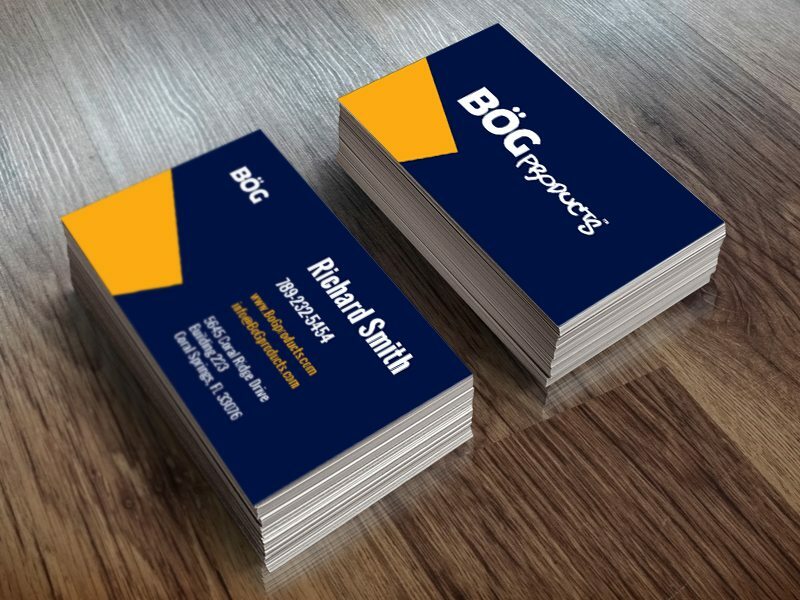 The BOG business cards are simple and a perfect complement to their website. With matching and vibrant colors, this brand is easy to recognize, which is an important aspect of branding. 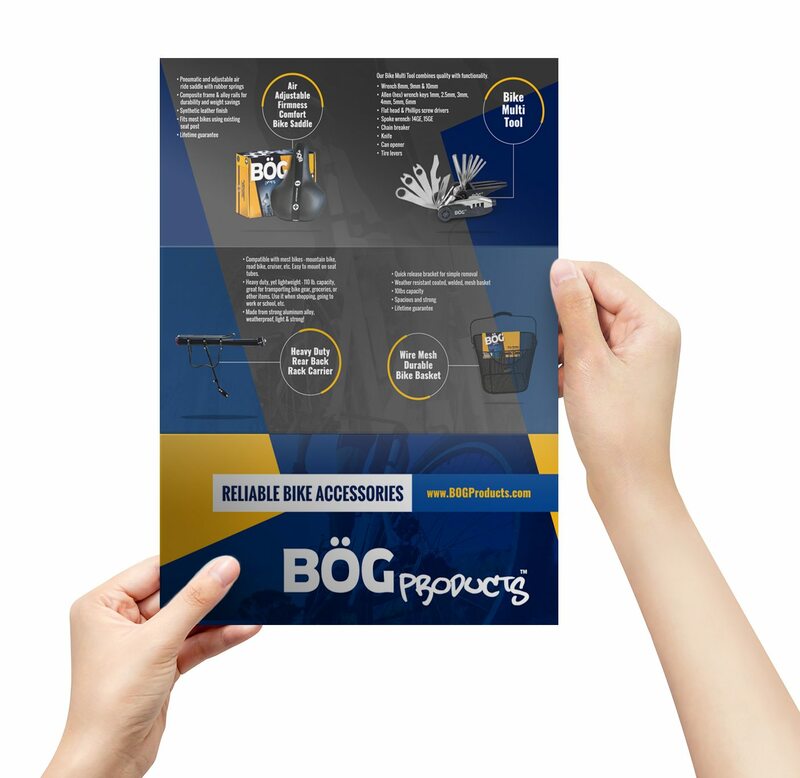 A tri-fold brochure with a twist: turned horizontally, it serves as a product catalog when mailed in with orders and other customer communications. Want to learn more applicable marketing tips to grow your business? Get a monthly digest with the best stuff from our blog plus the most insightful marketing advice from bright minds all over the web. Nah, I know all there is to know about marketing.